Using a pumpkin as a keg is a great way to add some fun to your next get together. And making sangria in a pumpkin is just one of the many beverages that you can choose to put into your pumpkin once you’ve tapped it. 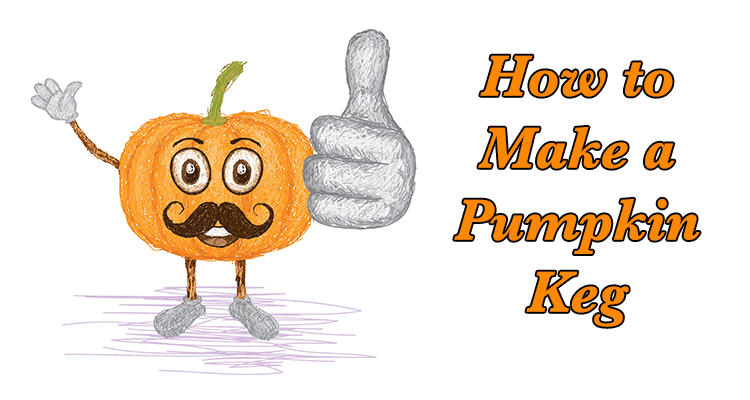 Now that you’ve picked your pumpkin and have all the needed materials, let’s get into the step by step process of making a pumpkin into a keg. Find a suitable sized pumpkin. Get a pumpkin that will hold enough liquid to serve the amount of people you plan on having at your shindig. Clean the pumpkin – as you’ll be using the pumpkin as a serving vessel, you’ll want to wash off the outside of the pumpkin. Cut out the top – you need to be able to get your hands in there and clean the guts of the pumpkin and all the seeds out so make sure that the hole that you cut on top of your pumpkin is at least 6 inches wide. NOTE: When you’re cutting the top, make sure that you’re cutting at a 45 degree angle pointing in towards the centre of the pumpkin. You have to cut on an angle so that the lid of the pumpkin doesn’t fall in on itself. Once you’ve cleaned out the insides of your pumpkin, it’s time to cut the hole for your spigot. Place your pumpkin on whatever bucket or holder you have and look for the flattest surface closest to where the pumpkin meets the opening of the bucket. Once you’ve got your spot, bore a hole through the pumpkin with your knife by spinning it while gently pushing the knife in. Once you’ve made it through, clear out any extra pumpkin flesh or skin that may be lodged in your newly created hole. Now screw in the spigot. Press the threaded end of the spigot hard into the hole you just created and start turning clockwise until the thread catches. Keep turning until its tight and then turn it until the opening of the tap is facing the ground. All that’s left now is to add the booze! So now we have our pumpkin all tapped and ready to go and all we need to add are the ingredients for our white wine sangria. When you’re making sangria, there are so many variations of recipes out there. You can use either white or red wine to make sangria and you can use whatever type of fruit you’d like. And really, the type of juice you add is up to you as well. 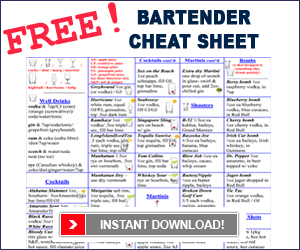 There are recipes that call for the addition of other juices like apple or cranberry juice or lime bar mix – as well as other alcohols such as rum or triple sec. 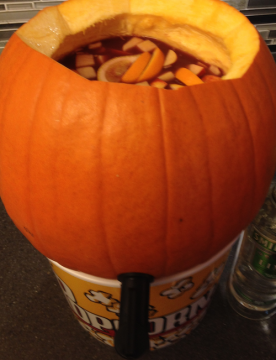 If you liked the video tutorial on how to make a pumpkin keg sangria, leave us a comment and let us know. If you’ve tried this yourself, post about it on our Facebook page.